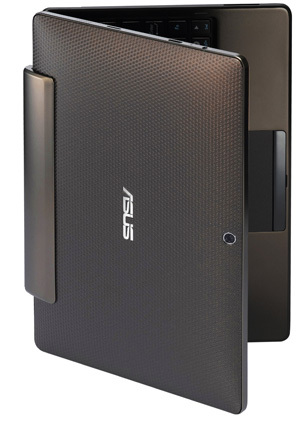 Asus Eee Pad Transformer Review: The Ultimate Commuting Device? Small - fit physically into the aircraft style trays on my trains so ideally 10" no more than 11"
For many years I made do with the compromises of small windows laptops that did the job but were a bit big, expensive and had to be booted up or at least resumed from sleep before they could be used. Battery life was a challenge too. The launch of the iPad changed all that with an instant on device capable of most of what I wanted. Like many though I find the iPad much more of a content consumption device so it tended to get left in my bag in favour of the Windows laptop when serious work or blogging was to be done. The Eee Pad Transformer promises the best of both worlds and this review will see if in real world use it can deliver or if it too gets left in my bag during my commute. I will also compare the device to the iPad 2 which is its main rival. The transformer comes in two parts the tablet and the keyboard dock (in fact you can buy just the tablet). As a tablet the Transformer is noticeably thicker than the iPad 2 and also heavier. It is reasonably well made but compared with the beautiful aluminium build of the iPad 2 feels cheaper and less robust with just a little bit of play in the case. That is not to say it is badly made though. The screen is noticeably more "widescreen" and has a resolution of 1280 x 800 compared to the 1024 x 768 of the iPad. This does mean that it does not feel as natural in portrait mode but in widesceen mode it fares better especially if watching widescreen content. Personally I almost always use a tablet in landscape mode so this is an advantage to me. Speaking of the screen it is a high quality IPS model just as good as the iPad bright with vibrant colours. The tablet comes with a charge dock, power button, volume buttons and a headphone/microphone socket much as the iPad but adds MicroSD card slot and a mini HDMI output that fully mirrors the screen so you can watch movies and deliver presentations on a screen or projector with just a standard mini-HDMI to HDMI cable. The tablet I got came with 16Gb storage but you can buy cheaply an extra 16Gb for around £20 or even an extra 32Gb for £50. There is also a 32Gb version available but it is a definite advantage to be able to add extra storage after purchase which you cannot do on an iPad. Processor and RAM is one area this definitely beats the iPad. Both have dual core processors but the Transformer is faster and has a full 1Gb of Ram. As a result it is really zippy even with the slightly less well developed Honeycomb operating system. It multitasks with ease and is really responsive beating the experience of using a cheap netbook for most tasks by a country mile. Many so-called flexible devices are too much of a compromise for real use but the Transformer is extremely solid when docked and really does look like and feel just like a netbook. It takes a bit of getting used to the docking process but it is quick and easy. There must be a concern that over time the parts might break but I expect that I will have moved on from the Transformer by then as it is pretty robust! 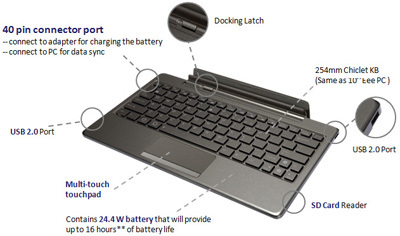 The keyboard dock itself has small netbook sized keys which are never the less usable and a proper trackpad. The top row of keys are shortcuts to for example turn WiFi on and off, bring up the browser etc. The dock also includes a battery extending the life of the tablet to around 16 hours in total as well as a full sized SD card reader and two USB sockets. The USB sockets let you connect mice, keyboards and removable storage (such as USB keys) and even charge your phone on the move! Of course having the keyboard does not stop you using the touch screen as well and in use I found I did this quite a bit. No doubt I will start trying to touch the screen of my laptop now and become frustrated it does nothing! 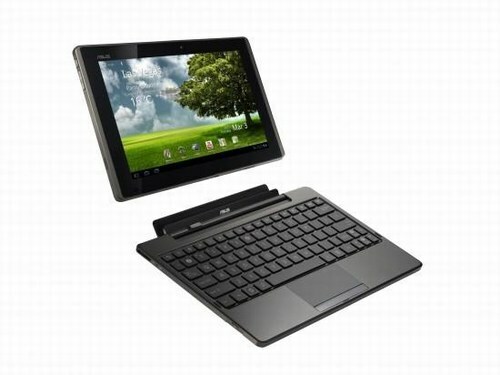 The Transformer runs Android 3.0 Honeycomb tablet OS which has been completely and successfully re-designed for tablets. 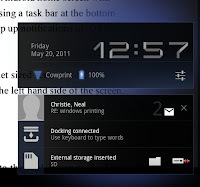 It keeps the basic Android home screen with widgets layout but adds an upgraded notification system using a task bar at the bottom of the screen and pop-ups in the right hand corner. This works well and just makes the crude pop up notifications of iOS on the iPad look even worse! 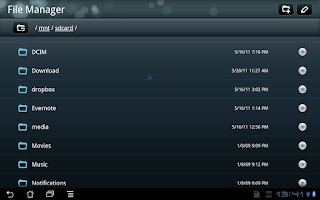 Elsewhere it is recognisably Android but upgraded for tablet sized screens for example with the settings keeping the names of the sections down the left hand side of the screen. Of course unlike an iPad you also get a real file system and a file manager tool and not the annoying approach the iPad takes to sandboxing a file into a particular app. Here just like a grown up PC you can store files in the way we are all familiar with. Another area that the Transformer significantly beats the iPad 2 is the browser. 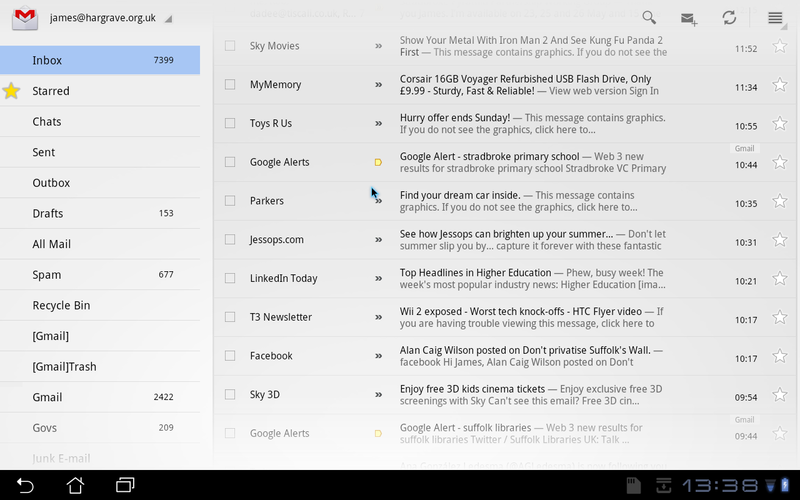 The in-built browser is as close to a desktop experience as I have seen on a Tablet PC. It has tabbed browsing and working Flash. I got the occasional force close but generally it was very good. The wider screen resolution also helped make it feel more like a desktop experience. Yes that is a video paying using Flash on the BBC News Website! I also tried the Dolphin HD browser and this was also good and another advantage of Android as you can't install other browsers on an iPad. 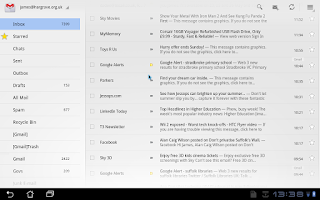 There are re-designed versions of email (both Gmail and other email) and the Calendar to take advantage of the larger screen size and these generally work well. 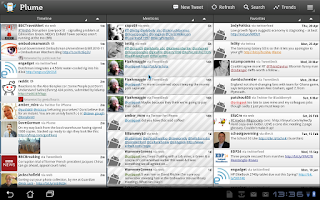 Most ordinary Android applications run fine and scale to fill the screen and there are also a number of Tablet optimised applications like Plume (a Twitter app) shown below. 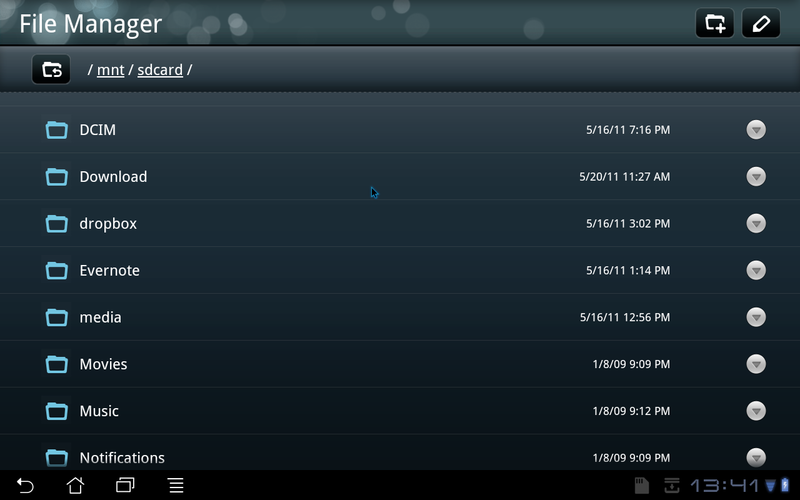 It's early days for tablet friendly applications on Android but I am sure there will be more and more of them. The Transformer itself comes with a number of extra apps most notably Polaris Office which has basic word processor, spreadsheet and presentation apps. 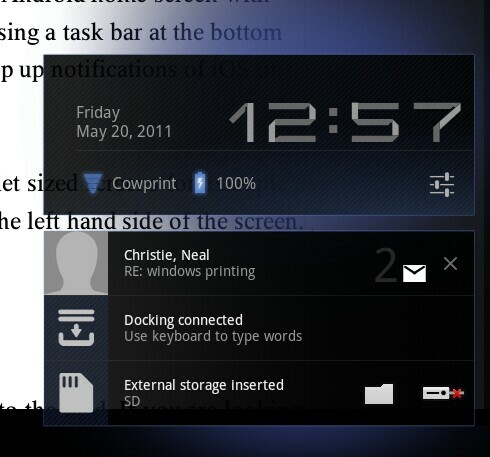 This actually worked surprisingly well both for reading documents and for editing and creating new documents. In fact it is the most usable office suite I have seen on a Tablet. It could do with spell check and word count though and also it doesn't seen to auto save and I lost some work when it crashed once. It also allows you to view PDF files and combined with the email and calendar apps provides all you need to work on the move. The Eee Pad Transformer is the first really serious challenger to the iPad. 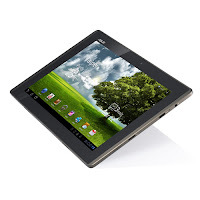 If you are looking to buy a tablet now then you should in my view seriously consider it. 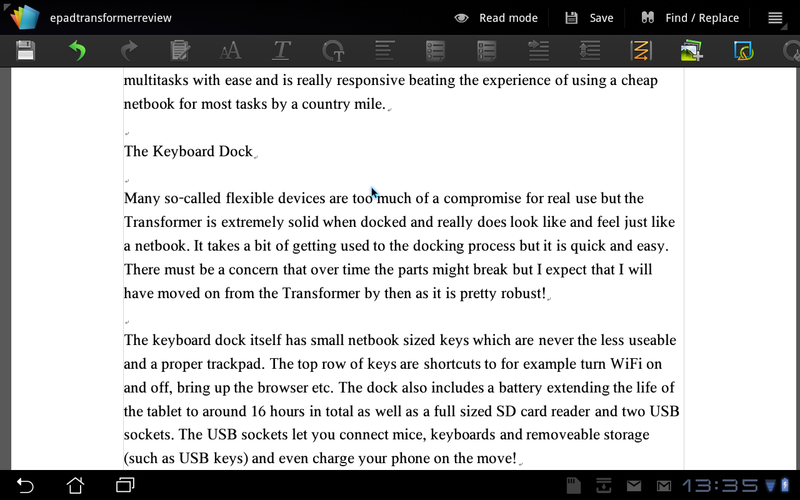 For many the iPad will still be the best option especially for classic content consumption but if you need a keyboard at least some of the time then it is well worth considering the Transformer. The price of £429 including keyboard just makes it even more tempting. 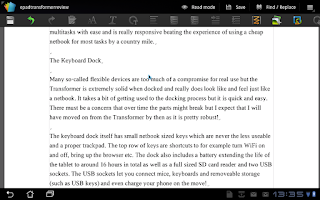 As a commuting device it pretty much ticks all of the boxes on my wish list with the flexibility to be used as a tablet without the keyboard around the home or office. What makes it so compelling is that it is strong both as a standalone tablet and with the keyboard and neither feels like a compromise. Honeycomb has several advantages over iOS on the iPad with a much better notification system, live updating widgets and a real file system shared between all the apps on the device. 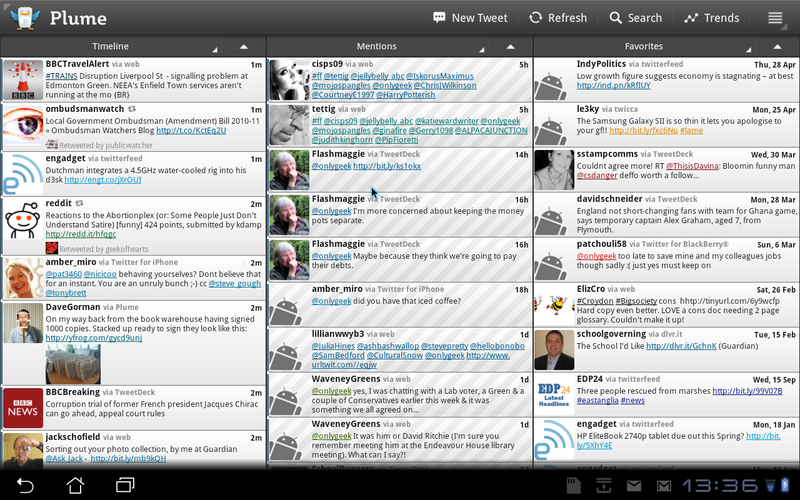 It is slightly less polished though and there are fewer apps. 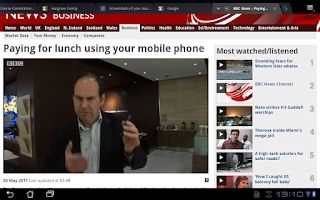 Some may want to wait for the promised 3G version but I have long used a MiFi for flexibility. Oh and yes I did write all of this review on the Transformer and it was perfectly usable to write something this long. It is the first device I have owned that I can literally work all day on and still have battery spare, now if my phone only did that!